Located in South Boston’s historic seafood district, it's no doubt that we eat, breathe, and live seafood. At Constitution Seafood we understand the importance of quality, freshness, and great customer service. Our dedicated staff has over 80 years of seafood experience and knowledge that we love to share with our customers. New England seafood has been in our family’s blood now for five generations, and we're proud of the long-standing, trusted relationships we have with our purveyors throughout New England and beyond. All of this means you're getting a spectacular seafood buying and eating experience. Our state-of-the-art processing facility complies with the utmost standards for all state and federal guidelines in addition to being HACCP certified. We look forward to earning your trust and satisfaction by providing you with consistently unrivaled service and top quality seafood from our local harbors and around the world. 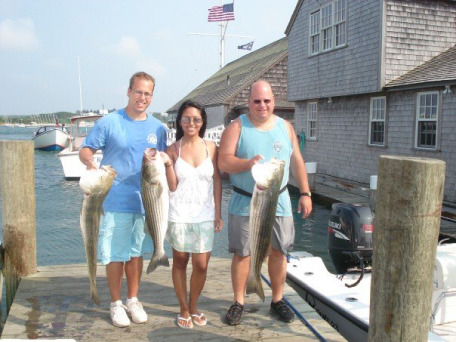 Providing New England with fresh, local seafood has been the Faro family’s passion for over eighty years. As both Constitution Seafoods’ founder and fourth-generation fishmonger, James Faro Sr. knows his seafood. Born and raised in one of Massachusetts’ small seaside towns, Jim Sr. learned the fish trade at his grandfather’s knee–who himself was the founder of Bay State Lobster Company. 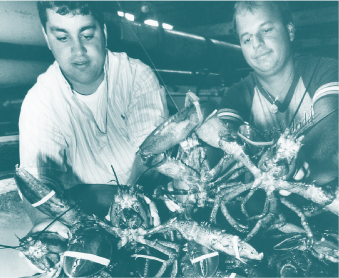 In 1977, Jim Sr. joined Bay State Lobster Company as a fish cleaner and cutter, starting at the bottom so as to participate in every aspect of the family business. With many years of firsthand experiences under his belt and a family legacy to uphold, Jim Sr. began Constitution Seafoods in 1993. Today, Jim Sr.’s son–and fifth generation seafood purveyor–Jim Jr. continues the generational commitment to New England seafood by leading sales and operations as Constitution’s dedicated general manager.